Here they are, the first couple of florets on Narcissus "Autumn Colors". 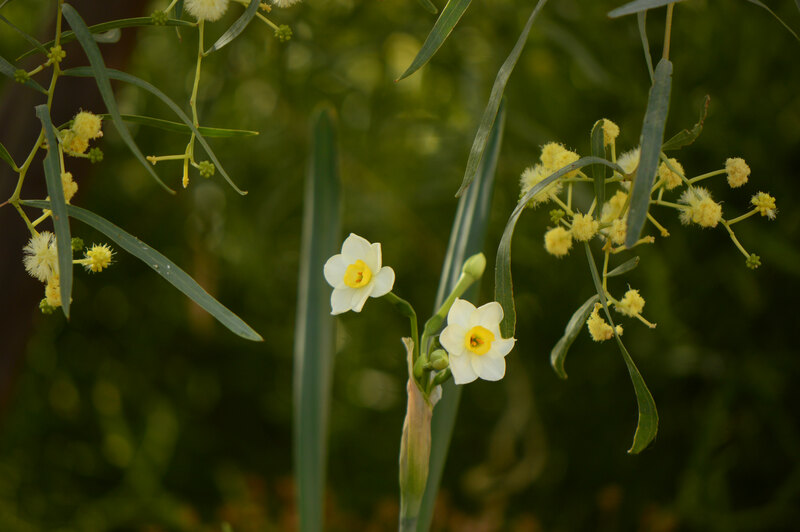 Happy in the shadow of Acacia salicina, which is also in bloom... a classic desert garden combination! Next Post: In a Vase: Which Season? Libby - It must be lovely to move in and already have some established narcissus! :) It's been tough figuring out which will grow best here with little to no freeze, but these were clearly a good choice (though I think half my difficulties have been due to poor watering!). So pretty, especially in combination with the Acacia! Your Narcissus are well ahead of ours. 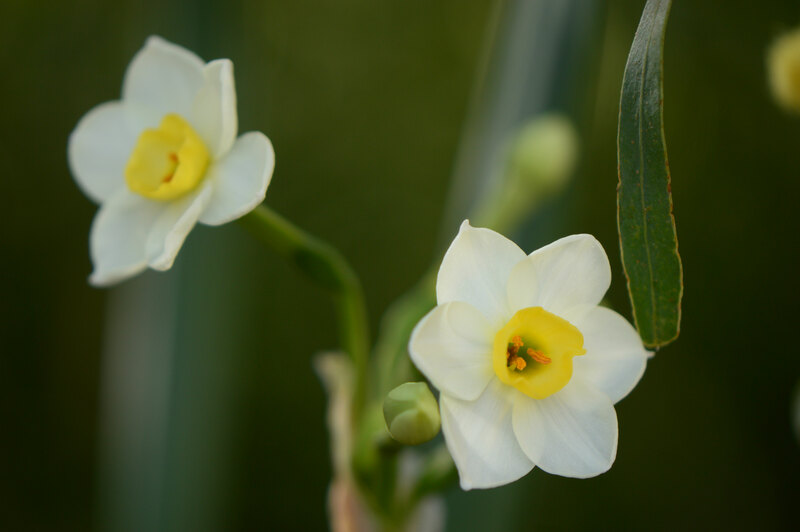 What a pretty one, and how lovely to see a Narcissi so early for us, and yet judging from its name it is on time for you! 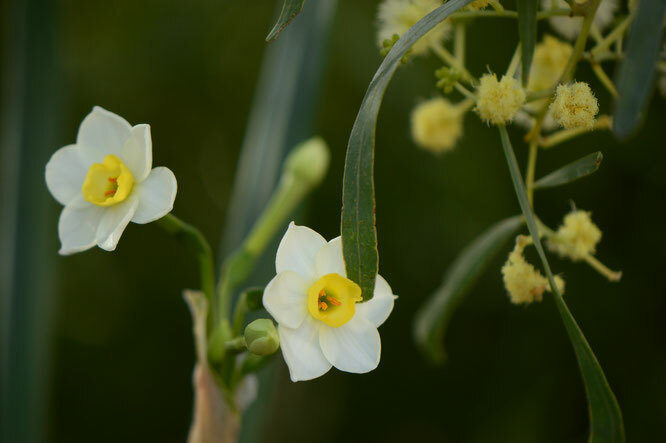 Is the Acacia from Australia or local? Thanks, Kris! I've been hoping for an early showing, as they are among the earliest on Bill Welch's narcissus list. But yesterday I found a couple of blooms open on the double "Golden Rain" as well! :) Since I saw your comments on getting your irises to bloom, I've been concentrating more on making sure my bulbs get enough water when the buds are forming - so far, much better!